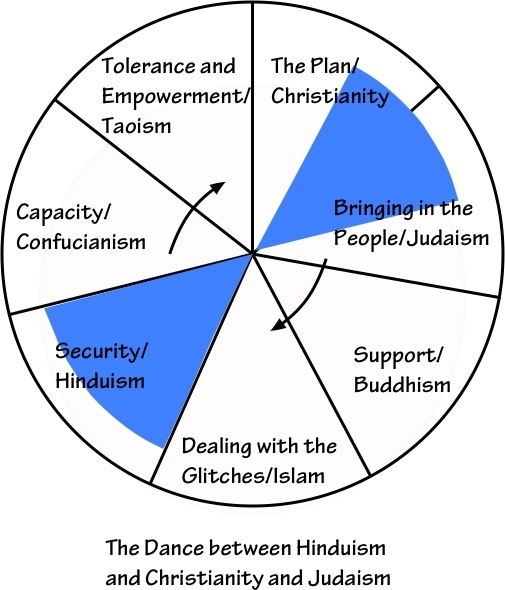 As we progress around the calendar, we are learning about the principles of the seven religions, and we are coming to the end of the Hindu segment, which means that we are addressing the issue of genocides. Each of the seven major religions plays a favorite power game. Christians wage war, and the belief structure that Jews have been victimized leads to genocide. In this segment, we are bringing in the people, but must address conflict resolution to do so, or we won't be able to get past the security issues related to Hinduism. We also won't be able to demonstrate our capacity until we address the principles of the Ramayana, and bringing in our lifepartner.